There are so many reasons for culturally minded travellers to visit Julius Caesar’s Province of Rome. The regions’ distinctive landscape has many archaeological and historical attractions, including some of the best preserved Roman buildings found anywhere today in what was the Roman Empire. 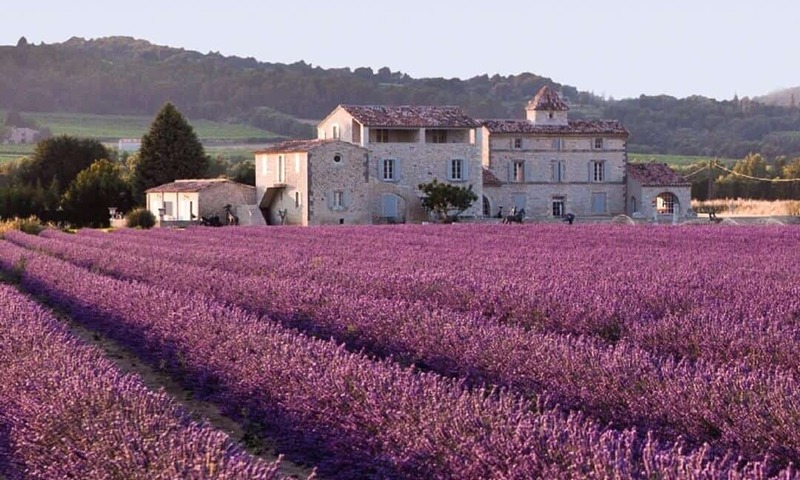 Provence is also well known for its lavender fields, from small patches of cultivated land to vast swathes of purple that stretch into the distance. And some of these are next to some of the region’s most interesting and picturesque historical sites. 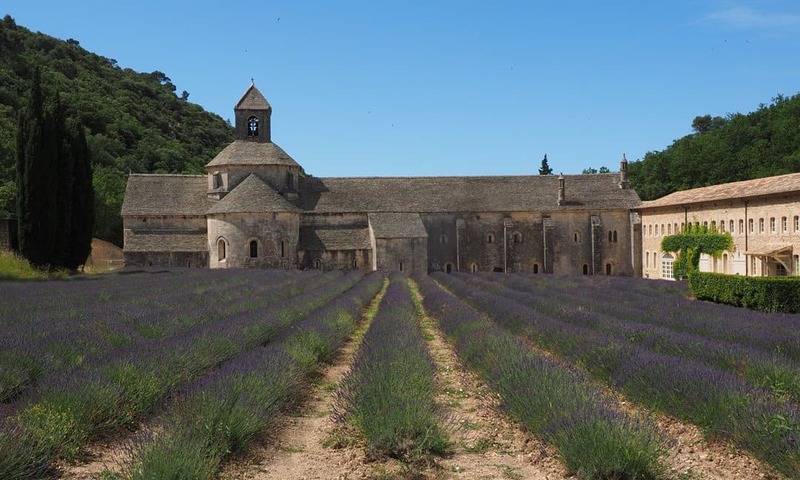 For those who want to combine botany with history, Thomas shares his tips on where and when to see the best lavender fields in Provence. Purple fields of lavender almost as far as the eye can see. Actually, it is hard to miss lavender in Provence and not simply because of its value to tourism. 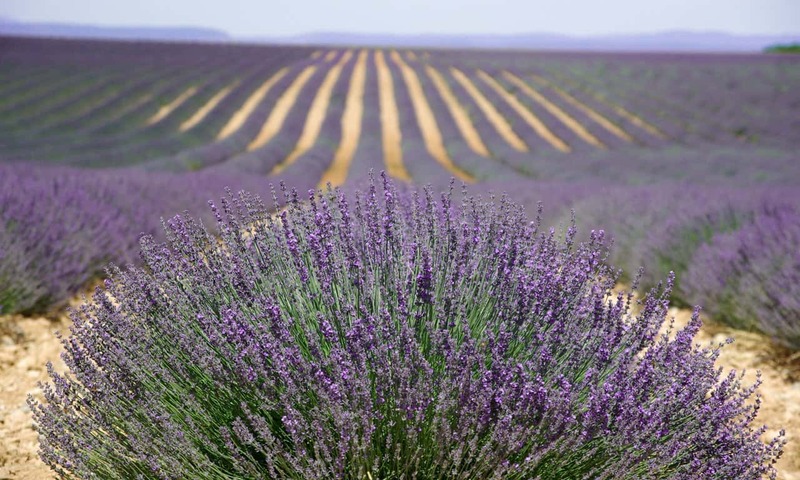 Lavender was brought to Provence by the Romans over 2,000 years ago. Due to the very favourable climatic conditions here the plant quickly established itself in the area. One of my favourite sites in Provence is the beautiful Pont Falvien on the edge of Saint Chamas. The town’s gardener has clearly, and quite appropriately, tried to enhance the ambience of the setting by adding lavender plants. 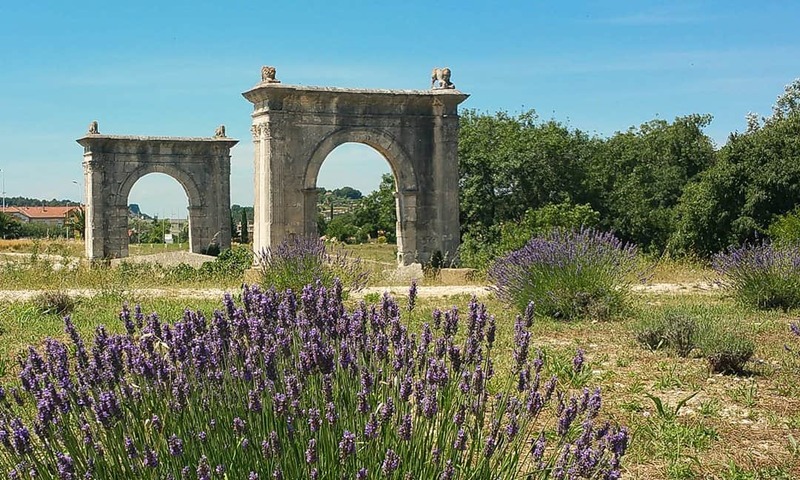 Strategically placed lavender bushes at the Roman Pont Flavien in Saint Chamas. Lavender comes from the Latin verb lavare, to wash. Romans not only used the plant’s essential oil to scent their soaps they also liked to use it in their bathing water. They also recognised the plant’s medicinal qualities, and used lavender to fight insomnia, back ache and as an antiseptic. Something that carried on into the Medieval period. Lavenders were women who took in washing. 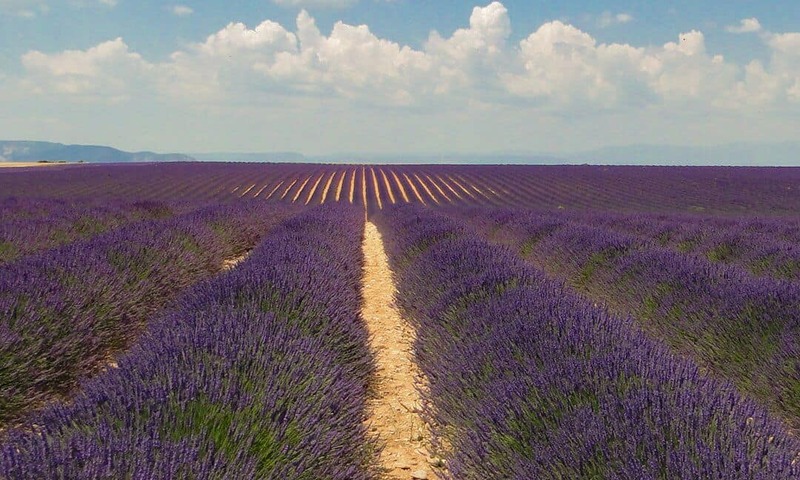 But it was not until the 19th century that lavender began to be cultivated in Provence. And over the decades lavender farming developed into an industry that has shaped our image of the region. Where are Lavender Fields in Provence, France? Given the importance of the lavender industry in Provence, the opportunities to see spectacular fields of purples and blues are many. Besides my favourite specific locations I recommend below, if you have a car you can drive around the area. Not only will you see lavender fields, you will also see quaint hilltop villages so typical of this region. 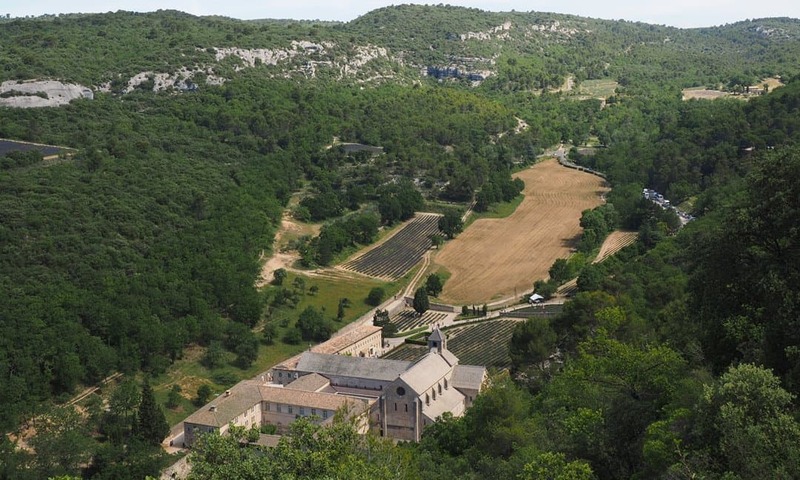 A few to consider Bonnieux, Gordes and Lourmarin. 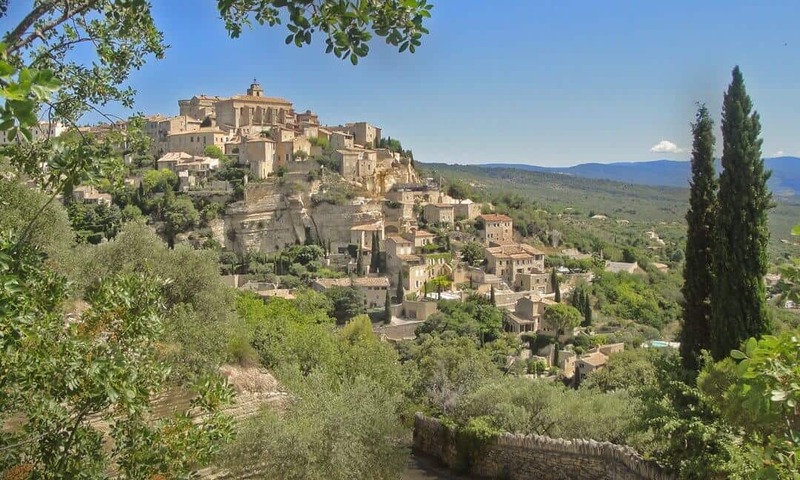 A route I recommend exploring starts at Carpentas travelling along the D4 to Gordes. Near Gordes is Sénanque Abbey. From here take the D4 and then the D900 to the hilltop town of Goult. From Goult follow the D900 to the D108, the Route du Pont Julien, a Roman bridge that once carried the Via Domitia over the Calavon River as it went from Rome to Spain. After a stop at the bridge either return to the D900 and head to Apt, or carry on the D108 to Bonnieux and then on to Apt. From Apt head north for the Baronnies Provençales Natural Regional Park. 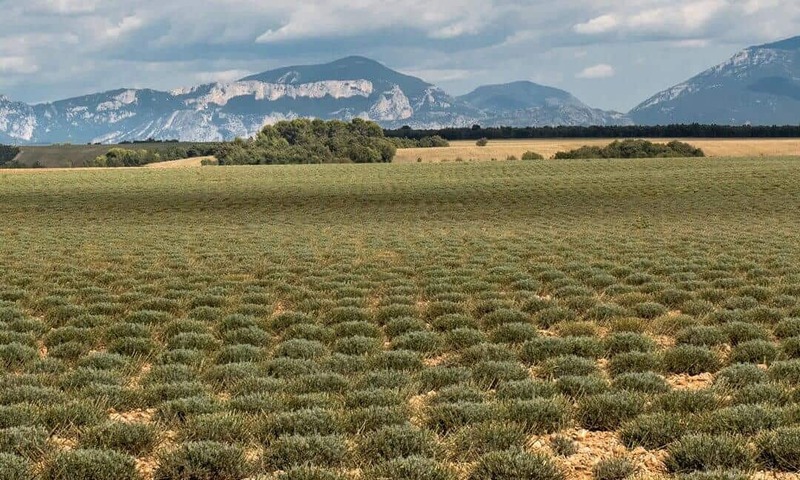 It is here that you will see lavender fields around Valensole (some 800 square kilometres of them) and on the Plateau d’Albion (over 11,000 acres or 4,500 hectares of lavender under cultivation). Looking south over a lavender field to the 12th century abbey church and buildings. The 12th century Notre-Dame de Sénanque Abbey is worth a visit at any time of the year. No one would deny, however, that flowering lavender does not add to the spirit of the monastic buildings. Founded in 1148, the abbey church was consecrated in 1178 and further buildings added soon after following the architectural principles established at the mother house of the Cistercian order – Cîteaux Abbey near Dijon. The abbey is still home to a small community of Cistercian monks. Visitors are asked to be respectful of this place of silence and prayer. For those wanting to enter the church, there is a modest dress code. 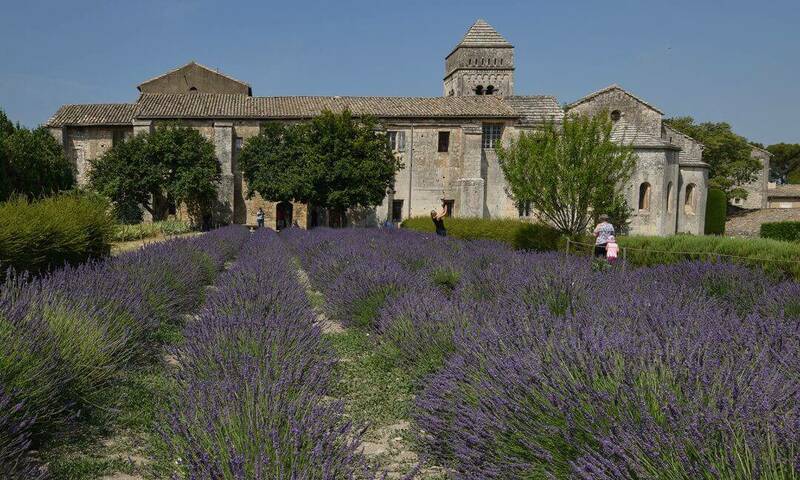 To make a living and maintain the abbey the monks cultivate lavender, produce olive oil and harvest honey. Essential oil of lavender, honey, olive oil, and soaps can be bought in the shop, which also has one of the best bookshops I have seen in a tourist attraction. As this is a very popular attraction, it does get crowded during the summer, particularly during the flowering period. I recommend coming as late in the day as possible. Bear in mind if you want to visit the abbey church, it closes at 17h00 each day. For more information about visiting Sénanque Abbey, consult the Official Website. Of course, you get a better light later in the day. As the view above is north facing, I believe dusk is better for getting that perfect photograph than dawn. In 2018 and in the first week of July I was a week or so too early. A view over the abbey looking north, note the patches of purple here and there. The Abbey church and buildings that became a psychiatric asylum where Van Gogh was treated. St Paul’s Mausoleum certainly does not have the most spectacular field of lavender, but it is surely one of the most poignant. As a result of the 1789 French Revolution the 11th century monastery landed up in the hands of a doctor who in 1807 set up a psychiatric asylum. And it was here that Vincent Van Gogh committed himself on 8 May 1889. He was treated here for just over a year, leaving on 16 May 1890. This was not only one of the most difficult periods of his life, it was also one of his most creative. And visitors to St Paul’s Mausoleum today can walk in the grounds and see panels that reproduce paintings that were inspired by the surrounding landscape. At the back of what was the monastery is a modest field of lavender. 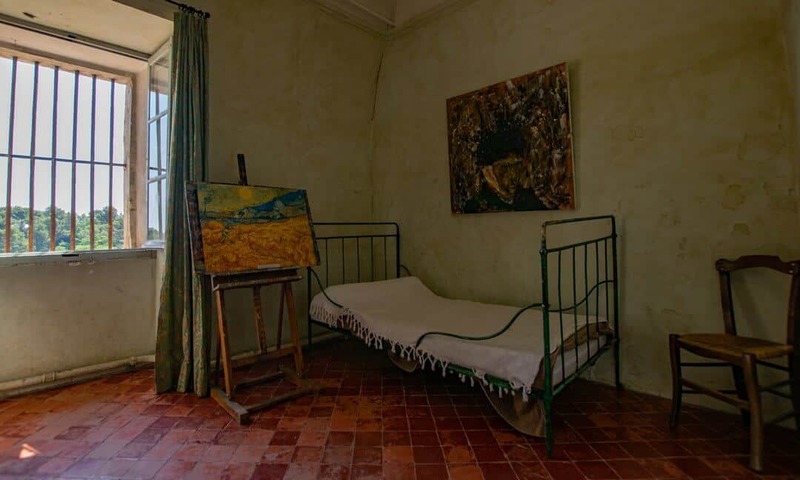 Vincent Van Gogh’s room in St Paul’s Mausoleum. Sault, a typical Provencal hilltop town. Sault is a typical Provencal, hilltop village built established in the Medieval period. These hilltop villages are surrounded by relative flat plains on which you will find lavender fields. The options for photographers are many. From the hilltop villages you get wonderful views over the surrounding landscape, before you is a mosaic of fields of different shapes and sizes. At the right time of the year some of these are brilliant purple. You can also get great photographs from the lavender fields themselves with the hilltop towns in the background. To the west of Sault there are many lavender fields. And it is from the west that the hilltop aspect of the town is at its most pronounced. The perfect situation for getting striking photographs towards the end of the day. A lavender field at sunset. The Valensole Plateau has its own share of quaint Medieval villages, with striking castles and forts and imposing ramparts. But, with over 800 square kilometres of land under lavender cultivation, it is not known as ‘lavender country’ for nothing. If you have seen photographs in which rows of lavender stretch far into the distance, the chances are it was from a field in this area. And anyone who has visited will not be surprised to learn that Valensole is France’s biggest lavender growing area. Some of the vast and spectacular lavender fields can be seen near Valensole. When is the Best time to see the Lavender Fields in Provence? This is the million dollar question. Well at least the price of your holiday question. The short answer is, the flowering season is between early/mid-June until the end of July. For those who only have a week or two holiday, and need to make bookings long in advance that range is not very helpful, particularly if you want to see the fields at their most vibrant purples and blues. The longer response is the date depends on two things, one you have no control over and one you can. Exactly when the flowers bloom depends on the weather conditions during the months leading up to flowering, and where in Provence the lavender field is. In the Rhône Valley, around places such as Tricastin, the Comtat Venaissin and the base of the Lubéron massif, and on the Côte d’Azur the vast majority of fields will be harvested by the beginning of August. In the area known as Haute Provence (such places as Baronnies Provençales, Haut verdon, Plateaux d’Albion and Valensole) flowering is a few weeks later. This is where you will find vast fields of lavender. The Lavender industry is big business these days, and it attracts and estimated 24 million visitors each year. Until the middle of August many of the picturesque Medieval villages organise organise lavender festivals, for a full programme consult the Fêtes de la Lavande Website. And while you are here, visit the Musée de la Lavande.